Mumbai: Although Mayank Agarwal is not leaving any stone unturned in his bid to get a place in the Indian team, the Karnataka batsman is yet to get a call-up to the Indian team despite scoring heavily in the domestic cricket and for India A. While the youngster was ignored for India’s England tour, he was once again snubbed for the upcoming Asia Cup 2018 as the MSK Prasad-led selection committee picked the squad last week. 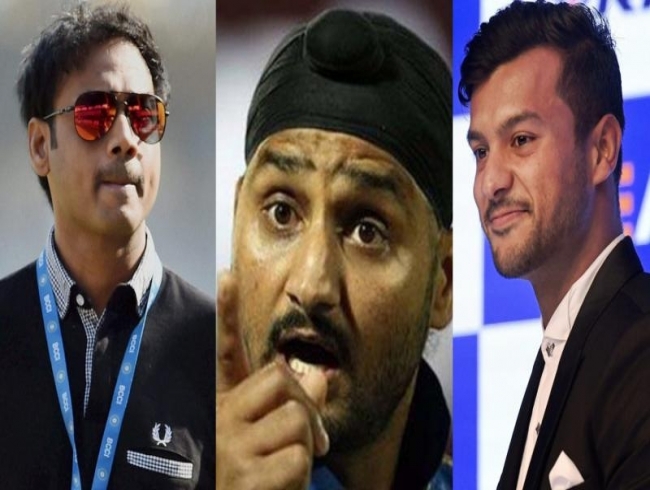 While Prasad recently said that the cricketer is now a step away from making a cut to the Indian side, Harbhajan Singh has hit out at the Indian selectors following Mayank’s omission from the Asia Cup squad. Mayank had scored over 2000 runs in the previous Ranji Trophy season and followed his good run of form in the Vijay Hazare Trophy. Later, he went on to score a double hundred against South Africa A in a four-day game and then scored a ton in the Quadrangular series. The veteran Indian off-spinner took to Twitter to question the selection policy. “Where is Mayank Agarwal ??? After scoring so many runs I don’t see him in the squad ... different rules for different people I guess,” tweeted Harbhajan along with a picture of the Indian squad. Where is Mayank Agarwal ??? After scoring so many runs I don’t see him in the squad ... different rules for different people I guess..